New Delhi : Akshay Kumar's film 'Kesari' has done a great business in its second week and is set to rock in the third week. Kesari box office collection till now is about 137 million. It will soon make its entry in the 150 million club. Taran Adarsh tweeted about the film's earnings of Akshay Kumar. According to them, 'Kesari' has earned more than 300 million in its second week. The next goal of the film is to join the 150 million club. The way the movie is making money, it seems that Akshay Kumar's film 'Kesari' will soon touch this magical figure. Akshay Kumar and Parineeti Chopra's film 'Kesari' is breaking all records since its release. The film 'Kesari' was released on 4200 screens in the country and abroad. 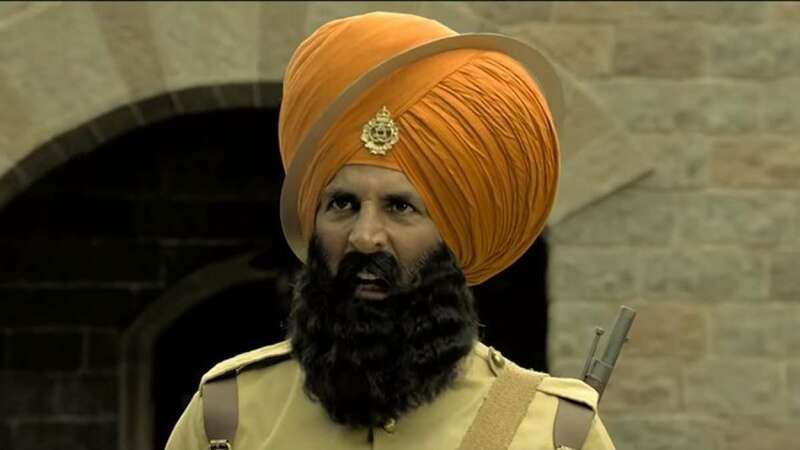 Akshay Kumar has won the heart of the audience with tremendous action. . Akshay Kumar and Parineeti Chopra's movie Kesari' is based on 'Battle of Saragarhi'. His film got the biggest opening of all the films released till date in 2019. Akshay Kumar's 'Kesari' received a lot of critical acclaim and even got a good rating from the critics. 'Kesari' has been directed by Anurag Singh and Karan Johar has produced it. Akshay Kumar (Akshay Kumar) 'Kesari' has a war between 10,000 warriors and 21 warriors. Makers and fans of 'Khiladi Kumar' have many expectations from the film in the coming two days. It is estimated that Akshay Kumar with Kesari (Kesari) can give this year's first biggest hit. Overall, the film is doing awesome at the box office.